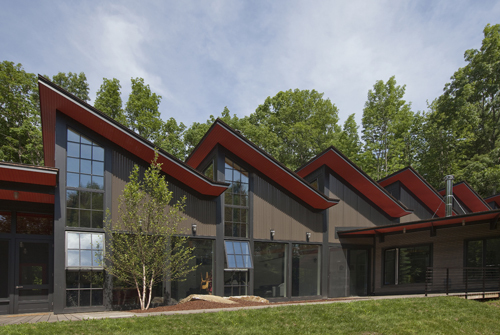 Berkshire vernacular architecture has always inspired our work, which borrows heavily from houses, barns, and old mills of the area. 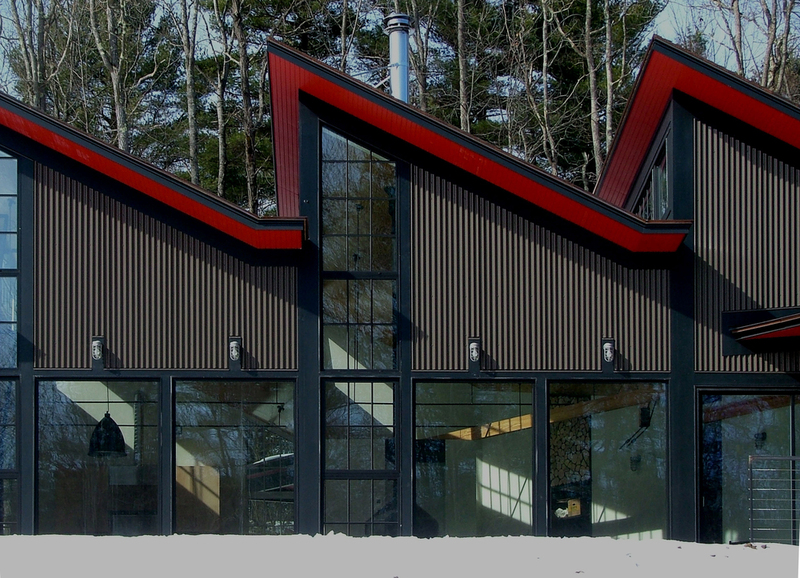 This project marks the first time we have stolen inspiration from the saw tooth roofs of the many moribund mills of the Berkshires. The absence of a second floor gave us the opportunity for top lighting, and the saw teeth allowed us to bring direct shafts of south sun into all the major rooms, in spite of there being no southern exposure. A truss made up of a combination of metal rods and a heavy timber king post supports each saw tooth. 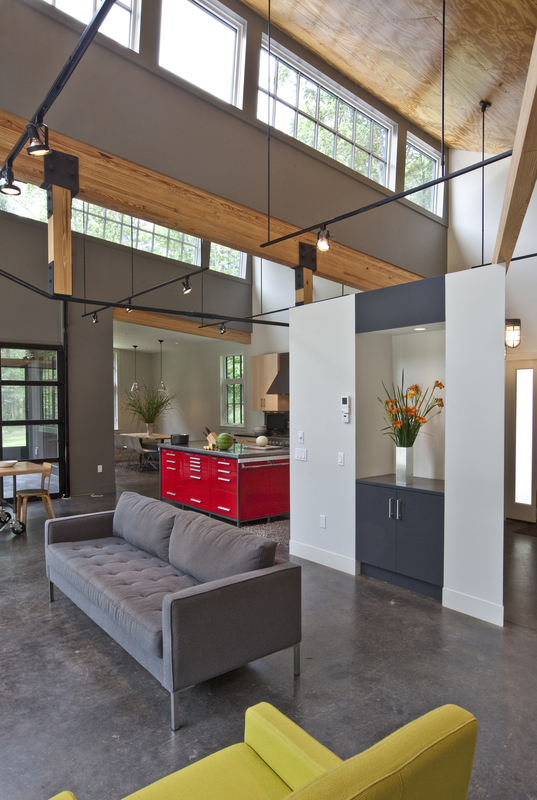 On the Blogs: Houzz, Know Your Houzz - What Type of Roof Do You Have?